What is a Key Man Clause? A key man clause is a contractual clause that prohibits an investment firmInvestment Banking Job DescriptionThis Investment Banking Job Description outlines the main skills, education, and work experience required to become an IB analyst or associate at a top or fund managerCareer Guide to Private Equity JobsThis career guide to private equity jobs provides all the information you need to know - positions, salary, titles, skills, progression, and much more. Private equity firms are investment management companies that acquire private businesses by pooling capital provided from high net worth individuals (HNWI) and institutional investors. from making new investments if one or more key persons are not available to devote the necessary time to the investment. A key man is an important employee or executive who is critical to the operation of the business, and whose death, absence, or disability may have a significant negative effect on the operation of a company. Key people possess skills, knowledge, leadership abilities, and experience that are considered crucially important for the continued success of the business. Some businesses, such as private equity firmsTop 10 Private Equity FirmsWho are the top 10 private equity firms in the world? Our list of the top ten largest PE firms, sorted by total capital raised. Common strategies within P.E. include leveraged buyouts (LBO), venture capital, growth capital, distressed investments and mezzanine capital., mutual funds, and other institutional finance managers evidence a significant dependency on particular executives. If one or more of the named executives dies, quits, spends too much time on another job, or is otherwise unavailable, the key man clause puts investing on hold. The firm cannot make new investments until a suitable replacement is found. In small companies, the exit of a key person – for example, a hedge fund manager – may actually mean that the investment firm must end, depending on how critical the person was to the business operation. The key man clause is common in investment firmsBuy-SideInstitutional asset managers, known as the Buy Side offer a wide range of jobs including private equity, portfolio management, research. Learn about the job that handle millions of dollars of other people’s money. Before entrusting these investment firms with such large funds, investors want to be certain that they are investing wisely and with a company that is a going concern. Large investment firms often employ a few important decision-makers, and the exit or absence of one of these key people may put investors’ money at risk. A key man clause helps to reassure investors that no huge changes in the firm’s approach will occur without the presence and input of a good steward for their money. A key man clause serves as a form of guarantee that the firm makes to the investors, assuring them that only the most qualified and senior executives handle important decisions. Since investments may remain in place for several years, the key man will be tasked with making critical decisions during the course of the investment period to ensure the highest possible returns. One of the concerns of investors is what happens if a key person overseeing their investments exits the fund or ceases to be involved in managing the fund. In large investment firms, a key man clause helps the firm to quickly provide an effective replacement for top executives when necessary. A business may also purchase key man insurance. Key man insurance compensates the business for the financial losses arising from the extended absence or death of a top decision-maker. The insurance does not indemnify the business from actual losses but provides a fixed monetary sum, specified in the insurance policy, to facilitate business continuity. The insurance compensation helps to offset lost income from delays or cancellation of business projects the key person was in charge of, from lost sales, and from loss of specialized skills. The compensation helps finance the recruitment and training of a replacement and pay temporary personnel. 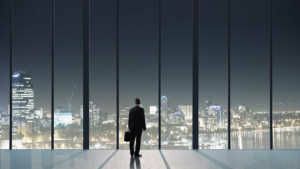 Although it is not a requirement for businesses to adopt a key man clause, it is becoming a common trend among businesses that want to protect themselves from the exit of important executives. Not only does the key man clause protect the company’s interests, but it is also reassuring to the company’s investors. The first step that the business should take is to identify all the important decision-makers who are at the center of the business operations, and whose exit may result in substantial losses to the business. The owner of the business can insert a key man clause in the contracts of all key persons in the organization. Key personnel may include sales directors, heads of product development, operations managers, investment managers, and other top executives. A replacement plan outlines the steps that the company will take in case a key person dies, resigns, is fired, or is absent for an extended period. It also lays out the timelines for recruiting and training a replacement to continue the work of the former executive. For big companies, the plan will dictate who takes charge in an acting capacity before a permanent replacement is found. A company may take steps to insure key personnel to cushion the company against their unexpected departure. The insurance compensates the business for losses caused by the loss of the key person. Big Four Accounting SalariesBig Four Accounting SalaryStudents dream of working at one of the top accounting firms and receiving a Big Four accounting salary. Generally, compensation figures within the Big Four are almost identical with only a few minor differences. Some average numbers are shown below for salaries in the United States (in USD).